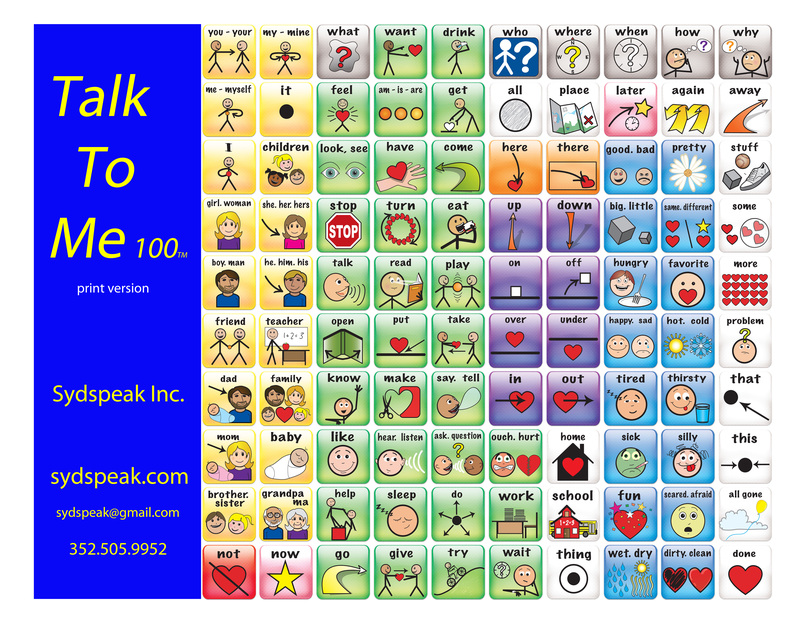 Sydspeak Inc. introduces Talk To Me 100, a powerful engaging tool for children who are learning to talk, or who have difficulty mastering verbal expression. 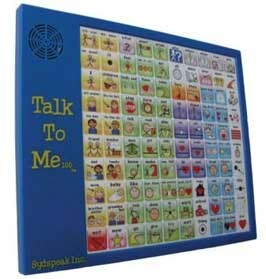 An interactive teaching device, Talk To Me 100 allows the child – by pressing buttons – to see words, hear words, understand their meaning and experience the joy of communication. Together, you and your child will have fun learning to talk. Talk To Me 100 is ready to go out of the box. Powered by 3 AAA batteries, it weighs just one pound and measures less than 1 foot square. Just press a symbol on the talking tablet and begin verbal interaction anywhere – walking outside, playing on the floor, sitting at a table. 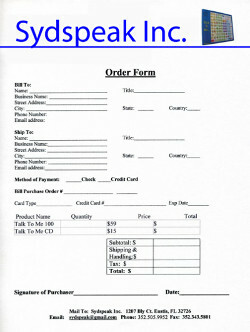 Priced at only $59, Talk To Me 100 is an affordable, invaluable addition to any language environment. Talk To Me 100 contains 100 words most frequently used in conversation. Those words are recorded and paired with symbols that represent their meaning. 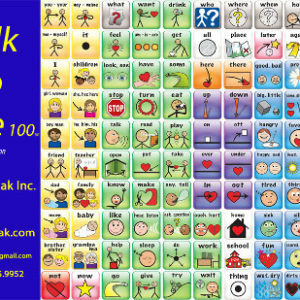 Press a symbol and Talk To Me 100 speaks the corresponding word: “happy”. Combine more than one word and the device expresses a complete thought: “I am happy”. Once the learner begins to combine 2-3 words spontaneously to communicate a new or novel thought, they are well on their way to using more than 100 words, either using natural voice or using a more expanded and dynamic AAC device.